Ardent British divers understand that our weather is uniquely complex. We are aware how changeable and challenging UK coastal weather is - even in the summer. We can plan a dive to the enth degree and the weather may be kind. Or it will be less than kind. (And apparently that's why us Brits always talk a lot about the weather). The way our weather twists and turns can catch out even the most experienced meteorologist, as Michael Fish found out to his cost following his infamous broadcast on Thursday 15 October 1987. He stated "Earlier on today, apparently, a woman rang the BBC and said she heard there was a hurricane on the way... well, if you're watching, don't worry, there isn't!" Later that evening England was hit with the worst storm it had experienced in three centuries. The 'great storm of '87' caused substantial damage over much of the country. An estimated 15 million trees were felled and at least 19 people were killed. It would be fair to say that in the UK this public weather forecast is the most famous in the 20th century. Probably the most important weather forecast of the 20th century was made some 40 odd years earlier, in June 1944. This weather forecast was not publicly broadcast, in fact only a handful of men were privy to it. It was made by Scottish meteorologist, James Stagg. Stagg was a Group Captain in the RAF who, ironically, had never been near a plane. He was a genius when it came to British weather and he understood its nuances. That you could start the day by sitting on a beach in Portsmouth at 9am in baking hot sunshine. And by mid afternoon you'd be soaked to the skin because it was now blowing a hooley with horizontal rain sweeping in from the sea. On Friday 2 June 1944 Stagg arrived at the Allied Expeditionary Forces headquarters at Southwick House, Fareham, Hampshire, England. He had been drafted in to provide weather forecasts for General Eisenhower so that he could take advantage of the best conditions to launch Operation Overlord. At 10.00 a meeting was held between key players of the Allied Expeditionary Force. Generals Eisenhower and Montgomery were also present. The first item on the agenda was the weather forecast for the 5 June 1944. D-Day. No the date is not a typo. The 5 June was slated for the biggest amphibious landing in history because it provided optimal conditions thanks to the tides and the moon. A full moon and dry beaches. Stagg briefed the team, forecasting that on the 5 June there would be low cloud - 152 mt / 500 ft to 304 mt / 1,000 ft and 7 to 9/10s cover. The wind would be from west to north west and the force would be 5 (fresh breeze) to 6 (strong breeze) possibly force 7 (high wind, moderate gale, near gale). There would be rain and poor visibility ie less than a mile. Wave lengths would be about 228 mt / 750 ft and 1.8 mt / 6 ft to 3 mt / 10 ft high, with the possibility of 3.6 mt / 12 ft high waves. "This storm will pass through the English Channel on 5 June. The weather will be extremely poor and the likelihood is that the situation will remain confused". Records state that 4,126 landing ships and landing craft took part in the Normandy landings. I've been fortunate enough to dive a landing craft off the English south coast. The best way to describe its shape to someone who has never seen one before, is that it closely resembles a square biscuit tin. This type of craft needs a flat sea and the forecast that Stagg gave was anything but a quiet sea. Above a force 5 and the ships would capsize resulting in as many as 70,000 - 80,000 men drowing. A catastrophic loss of life. 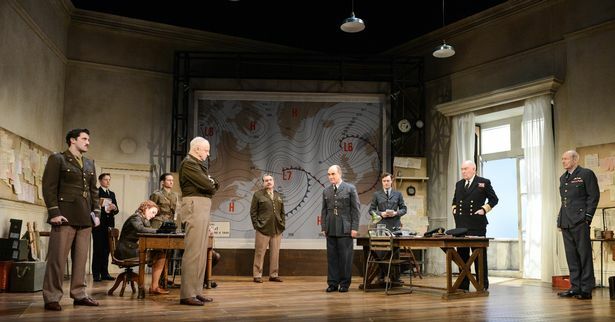 Stagg is keen to postpone D-Day whilst the American meteorologist on the team, Colonel Irving P Krick, thinks everything will be just plain sailing and a beautiful summer's day on 5 June. No wonder Stagg is a genuinely worried man. He is under a great deal of pressure. Physically (lack of sleep), physiologically (stress because of various factors) and psychologically. "I am a scientist, not a gambler. There are 350,000 lives at stake". And Stagg is tormented that Krick just might be correct with his take on the weather forecast, and by not listening to him Stagg will put Operation Overlord in jeopardy. The two men base their forecasts on different data. Krick is a bit of a weather rock star in the USA. He had given weather advice to the 'Gone with the Wind' film makers, and liked to use historical weather records as a base for his forecasts. Meanwhile Stagg knows about upper air currents - the jetstream - and taken these into consideration. It is of no surprise that the two men provide completely different forecasts and passionately clash. Operation Overlord, June 5th 1944. All the factors have been accounted for, apart from the weather. 350,000 lives depend on the most important forecast of the 20th century. 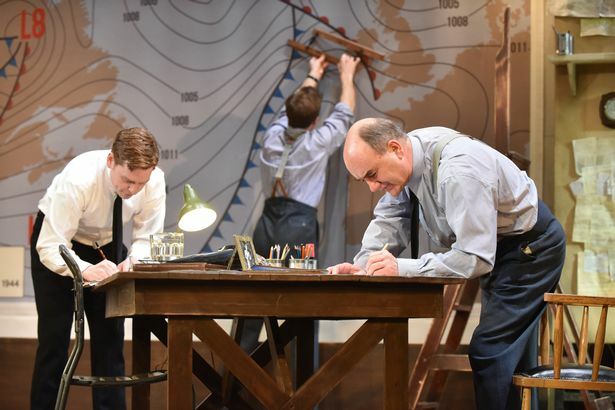 'Pressure' tells the remarkable story of two warring Allied meteorologists tasked with predicting the weather conditions for the D Day landings. 72 hours prior to the Normandy landings, Scottish meteorologist Group Captain James Stagg, advises General Eisenhower on the prevailing weather conditions the troops are likely to experience as they sail across the English Channel to France. Many of us know the story of D-Day and that it happened on 6 June 1944. But somehow despite being aware of this, I spent the entire evening on the edge of my seat utterly engrossed. 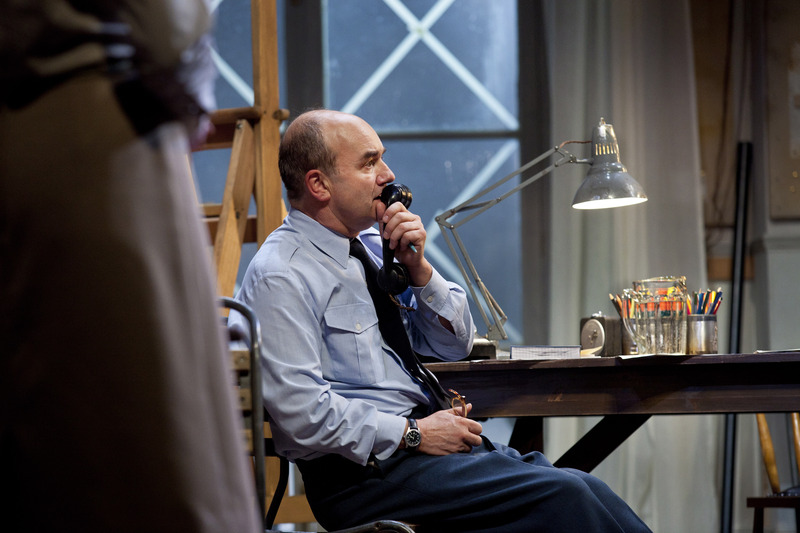 David Haig's writing and the acting by the cast is touching, human and shows how the power of nature can put pay to the best laid plans. 'Pressure' is like an onion, it has many layers and it certainly made me look at D-Day and Operation Overlord with fresh eyes. I have wanted to dive the wrecks off Normandy since 1996. Last year I finally got the opportunity, and I can't wait to dive these historic wrecks again. The dive trip I was on was blessed with some great weather. We had one day where it was a bit lumpy and we didn't dive. At the time I didn't give it much thought, but after watching 'Pressure' it made me reconsider the weather conditions the troops endured to get to France. Pressure is currently touring the UK. 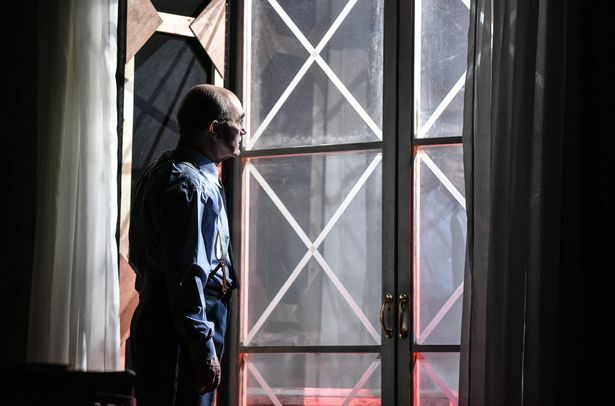 If you get the opportunity to watch this brilliant play, I urge you to do so. 74 years on, you will not be disappointed by this weather forecast.